Running a successful business is no easy feat. It takes a great deal of effort, money, creativity, determination, pain, and perseverance to start with an idea and makes it a huge success. Small business owners develop a powerful brand image after making countless sacrifices and overcoming adversities. As the Middle East’s economy is booming, more and more people are clamoring to invest their energy and money in launching their own business in Dubai, Qatar, and many other Middle East and Asian country. Dubai has now become the most lucrative place in the world to start your own business because of its growing and diverse economy. Dubai is the perfect gateway between East and West and is considered the preferred hub for the region’s import and export market. Bayut, Noon, Etisalat, Wadi, Propertyfinder, Almarai, and Namshi UAE are the most successful and powerful brands in the Middle East, striving hard to strengthen the economy of UAE, Middle East, and Arab countries. These startups are consistently achieving growth and have the potential to achieve unicorn success. If you are thinking to start your own tech startup in Dubai, Qatar or any other place, here are a few lessons you can learn from these successful businesses and set your brand up for success. Whether you have just launched your business or thinking to start it soon, you need to know who your target audience is and how to reel them in. Without customers, your brand won’t be able to thrive and survive. So, focus and know your target market and market your services or products to only those who are interested in your brand. Let’s take an example of the well-funded and game-changing e-commerce platform of the Middle East, Noon. The e-commerce platform is operating in a market where a lot of companies are vying for the market share. The company came up with a strategic growth plan and decided to focus on the target audience of Saudi Arabia and the UAE. 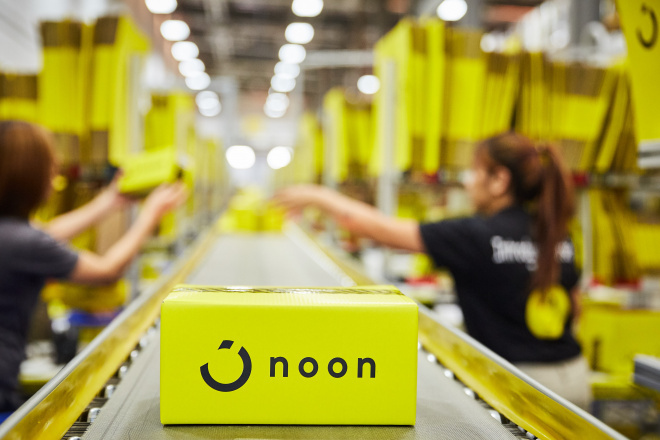 Noon.com wants to narrow its focus and become a trusted shopping destination for these two key markets prior to encroaching into new markets. This strategy has helped this e-commerce company to deliver an efficient experience to its customers and achieve consistent growth. Running a successful business is all about innovating and adapting to the rapidly changing market demands. So, listen to your customers and make important tweaks accordingly. 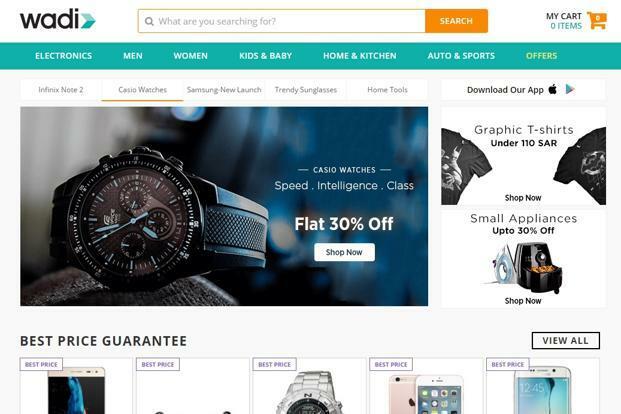 Wadi is arising startup in the MENA region that aims to be the largest online shopping portal, offering a wide range of products to the people of Dubai, Saudi Arabia, and India. The e-commerce company has raised $67 million in funding in just ten months after its launch. The investment is playing a great role in accelerating the growth of the company and has made it a leading and fast-growing e-commerce player in the MENA region. The e-commerce company has the potential to adapt to the market and provide out-of-the-box customer service. The leading e-commerce brand offers a large array of products from more than 2000 international brands such as Samsung, Apple, and Lactose. Your customers have the potential to make or break your company. If you want to grow your brand, make it easier for your customers to use your products and services. By providing customers with great solutions to their problems, you can achieve a secure place in the market. Propertyfinder provides high-quality, credible real estate listings in the MENA region. The company kicked off from UAE and then expanded internationally. The company believes in providing easy and great solutions to customer problems. Many find it difficult to find a property in Dubai due to a lack of websites that provide online listings. Propertyfinder came up with a solution to allow users to find a property to buy or rent in real time at the click of a button. The real estate company is making every possible effort to implement cutting-edge technologies in their website, such as 3D views, to provide homebuyers and sellers with more accurate and verified listings in Dubai. Getting to know your target audience and their pain points is the key to fulfilling their needs. When you know what your customers want, what their preferences, interests, likes, and problems are, you can make improvements in your products and services accordingly. This will help you address every pain points. Let’s take Namshi UAE as an example. Namshi is an online fashion brand that offers more than 50,000 products in UAE, Qatar, Saudi Arabia, Kuwait, Oman, and Bahrain. Namshi is mainly targeting the mobile market; its app is playing a key role in their brand’s growth. It has now become the leading fashion retailer of the Middle East by offering out-of-the-box services to its customers. The fashion retailer offers free and quick delivery in the GCC region, round the click delivery in the UAE region, 14-day exchange policy and many other awesome features. To run a highly-successful business, make every possible effort to provide a great user experience as it makes people visit again and again, thus boosting your conversion rate. Bayut, an online property portal in the UAE, allows users to look up properties for sale and rent. The company introduced an Arabic real estate blog that offers valuable information for local property seekers. Bayut believed in offering better, faster and pleasant user experience by integrating artificial intelligence and other up and coming technologies within their website. There is no denying the fact that starting a successful business is an extremely difficult undertaking. If you want to bring your business idea to life and bolster your chances of success, follow the above-cited business secrets of successful tech startups of the UAE and take your startup journey towards success.